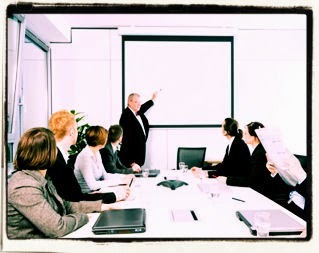 When you are speaking or presenting away from your own office you will often have to deal with awkward room arrangements, projectors that shine in your eyes, dry markers and other problems. This is just something you have to learn to live with and a good speaker should be able to work effectively in any situation. But when it is your own meeting room that is causing you problems then instead of learning to live with it you should be trying to fix it.